After you have bought a new Android smart phone you probably wanna buy essential and sleek android phone accessories for your handset and flaunt it even more. 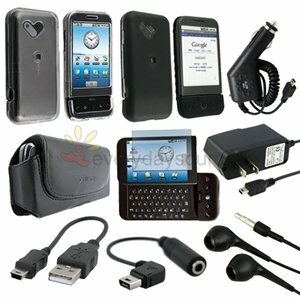 With people going bonkers over Android phone, more and more android phone accessories have also hit the market. There are a multitude of android phone accessories like chargers, cases, batteries, memory cards, screen protectors and headsets. 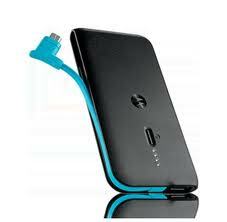 This is one of the best android phone accessories as it is the most convenient way to charge the phone. 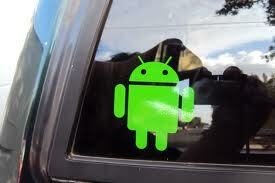 You can put these cool android stickers on your favorite gadgets like laptop, car or phones. These stickers come in a pack. This android phone accessory is outstanding as this eco-friendly accessory can charge two various devices at the same time and gets switched off when the devices get fully charged. It is compatible with lot of other devices like Atrix 4G, Motorola Cliq 2, Citrus, Bravo, Flipside, Droid 2, Charm, Defy, Droid 2 Global, Droid Bionic, i1, Flipout, Droid X, Droid 2, etc. A high end android phone is incomplete without good headphones and one cannot enjoy the music with the hands-free device. Get sleek headphones with amazing sound quality like Shure’s SE115 or Etymotic’s ER6i. 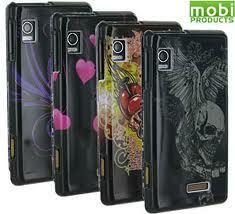 This protector case from Mobi Products is designed particularly for Motorola Droid. It is slim and comes in variety of colors like pink, black, purple and blue. There are similar cases for other android phones as well. When it comes to high end phones loaded with android applications and music and videos, almost everyone needs expandable memory. This Dan-Elec 16GB microSDHC card comes with a full size SD card adapter and this makes it compatible with other devices like digital camera, smartphone and laptops. Get this cool android mug and decorate your office or house with this accessory. Getting hooked on to the android phone is obvious but it is surely going to eat up the battery as you will be using it all the time. So one can always get their hands on extended batteries which come for many models. There is a third party battery vendor like Seidio and many actually fit in the battery cover. i just wonder what other accessories are out there in the market for use?